If you have ever been fortunate enough to come into the possession of a 1987 £100 Scottish banknote, then you may have noticed a towering, grey stone building printed on the back. 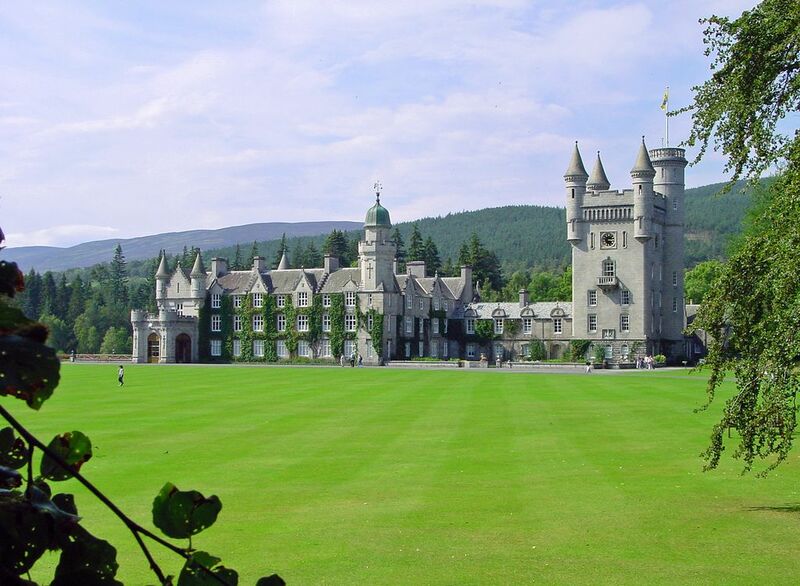 This is Balmoral Castle, functioning as a Scottish retreat and holiday home to the royal family since 1852. Despite its initial construction as an estate house in the 1390s, the original design has since undergone huge changes, having been knocked down by Prince Albert and rebuilt as the striking building standing today. Queen Victoria herself described the 50,000 acre estate in her journals as a “paradise in the Highlands”, tucked away within the depths of Aberdeenshire and the Cairngorms National Park. The history of the castle is undeniably extensive, hiding an array of anecdotal tales to uncover. It was here, for example, that Prince Philip secretly proposed to Queen Elizabeth II in 1946. These grounds and gardens are open for public exploration in 2018 from Friday 30th March until Tuesday 31st July, 10.00 a.m. until 5.00 p.m. Tickets range from £6 per child to £11.50 per adult; the price covering the cost of parking, an array of exhibitions and even a handset audio tour. Even if history doesn’t excite you, the castle hosts a vast array of other activities throughout the summer months. Run Balmoral is a perfect weekend for sports lovers. For the less active, Balmoral’s Luxury Safari Tours are an ideal way to still explore the grounds without having to leave the comfort of the car, although it should be warned they do cost a pricey £60 per person. These three hour excursions also encompass an additional trip up into the picturesque Lochnagar, one of Scotland’s most famous mountains. Furthermore, the castle has a choice of holiday homes available for rent, so after a long day of exhibitions and activities, you live close to royalty by staying within the Balmoral grounds in the comfort of your own retreat.